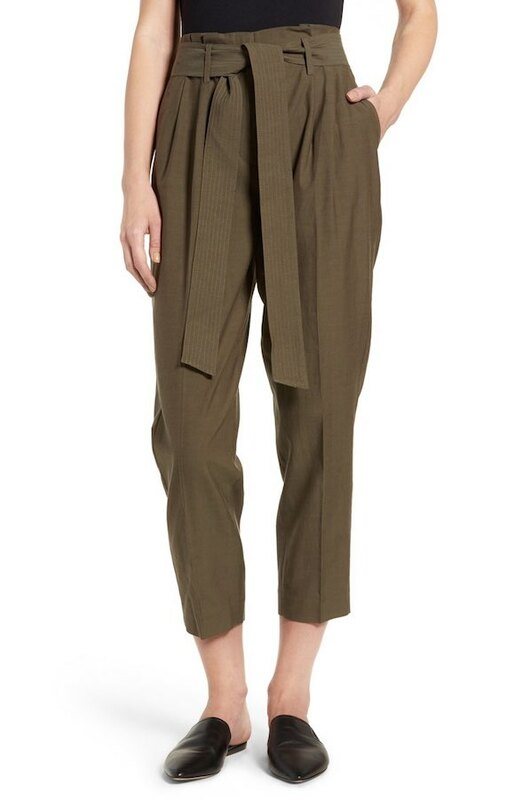 For the office or date nights– these high waist trousers are a little dressy, in classic black and with a couple of discreet pleats (not the 80’s style!) The gathered hemline is a modern touch, although you certainly go with a traditional hem. These look fab with a heel. Dressy cropped trousers have a classic vibe. A paper bag waist and self-belt create a casual mood. These are more trendy than the black pair above, and more of a vintage throwback, but I like them for a change from my skinnies. Heels look fine with these pants too, but I like an oxford or dressy sneaker to keep it loose. Gathered, waist-tie pants are great for casual days, and look terrific with a graphic tee tucked in. 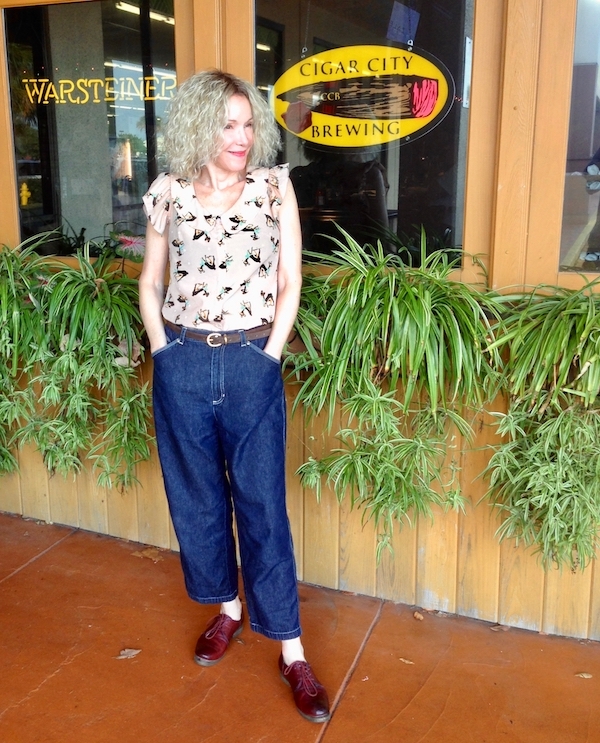 And you don’t have to be size 6 to enjoy a high-waisted jean: I think curvy women look fab in this style. 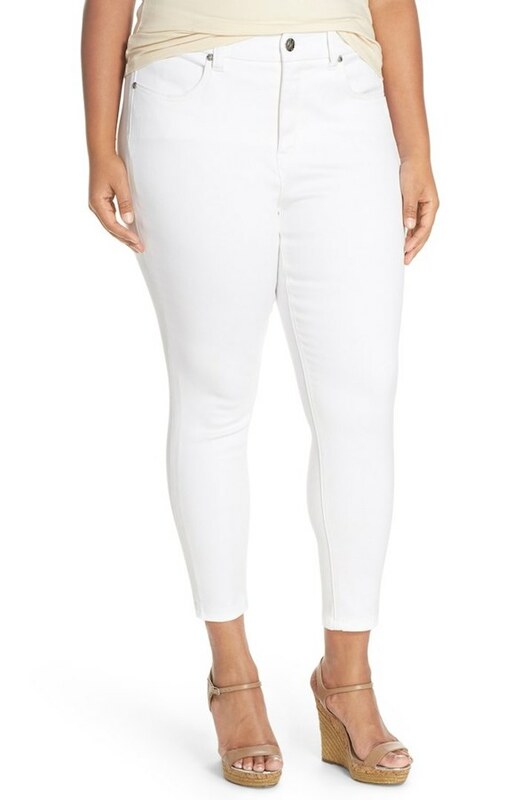 Love these white high-waist jeans for Spring and Summer, with a wedge sandal. Dark denim works well too with a high waist jean. These have an edgy fringed hem that may not be your thing. I do love the whole easy look, especially with a simple sweater-tee. 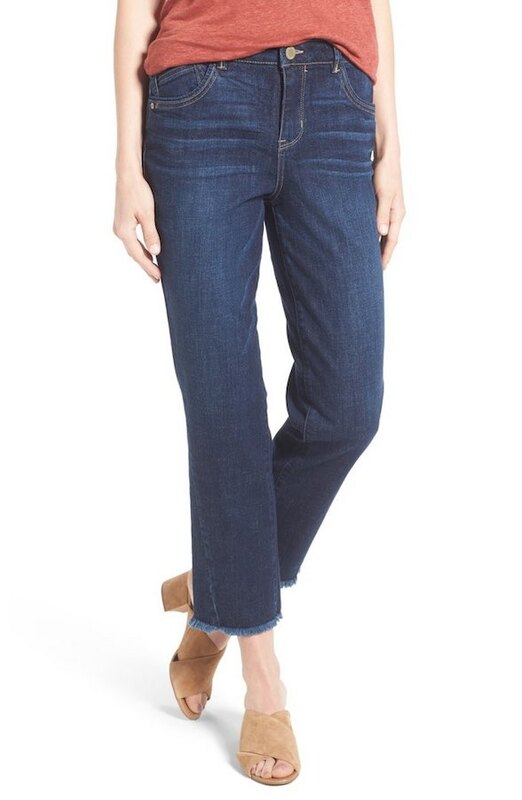 Classic-cut dark denim frayed-hem jeans have a playful vibe. For me: I grabbed these high waisters at the thrift. They only work with a tucked-in top, and they are oversized. And you can see how much fun I am having wearing them. So would ya, or do ya, wear a high-waisted trouser? I prefer high-waisted pants because they actually make me look as if I have a waist! Your high-waisted loose jeans look exactly like a pair I had a few years ago. I love high waisted pants, but only if they’re full length. No crops for me! I would absolutely wear high-waisters. I just wish I had a waist to show off. I would be wearing them for comfort and would not be able to tuck-in so I am not sure how I would style them. 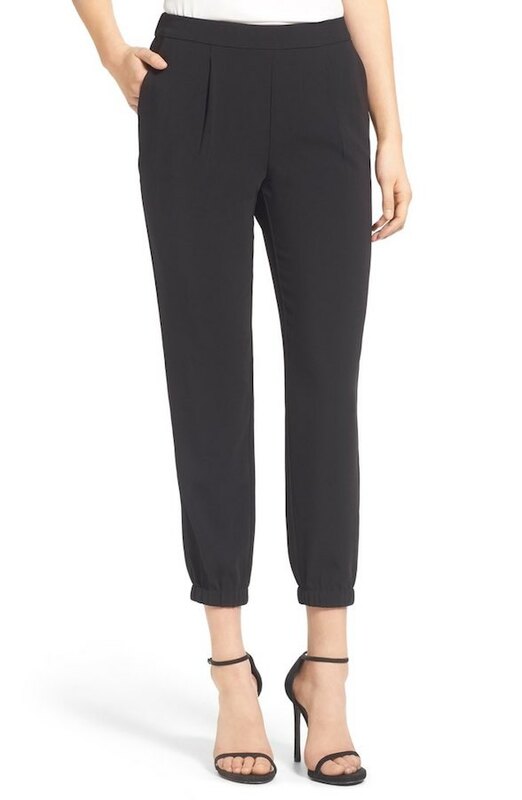 I love the look of a high waist dress pant with flared bottoms and a tucked in blouse. If only I could…..
What is the design on the blouse? It looks cute. Patti, you look great in those jeans!